The Menzingers are currently out on a Fall Tour making their way across the US. They've been packing venues and selling out shows throughout this tour and this Friday night, they will make their way to Metro Detroit. 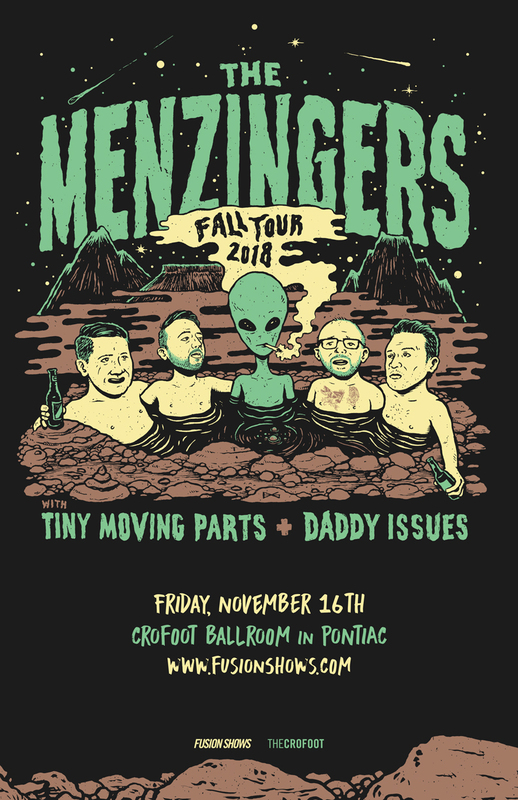 They are set to hit the stage in The Crofoot Ballroom along with Tiny Moving Parts and Daddy Issues. "Before the Party" (aka before the actual show), The Menzingers will also be playing a special acoustic set for VIP fans. To purchase a ticket to see that set, meet the band, and get a signed 7", click here. Tickets for The Menzingers' show at The Crofoot are $20 in advance or will be $23 at the door. You can purchase your ticket online here. You can also enter to win a pair of tickets to the show by sending your name to hipindetroit@gmail.com with #menzingers in the subject line. We will draw one lucky winner on Friday morning and will send them details on how to claim their prize. Get ready for Friday's show by turning up your speakers and giving The Menzingers' new song "The Freaks" a listen!